Stem cells are categorized based on their potency and ability to self-renew. Potency is the ability to differentiate into new specialized cells. 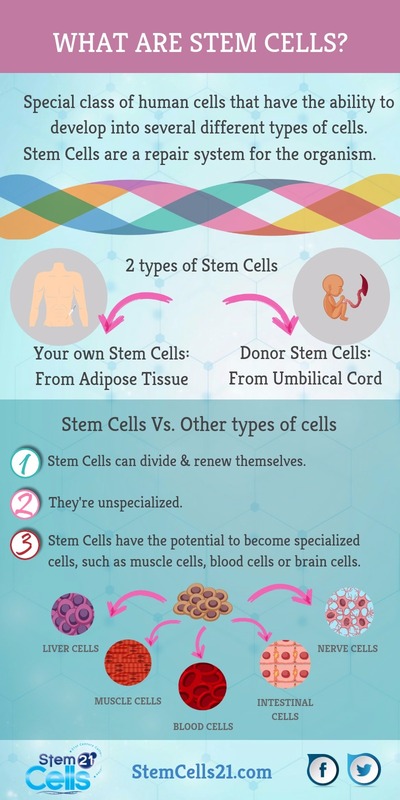 There are 2 main types of stem cells namely: Embryonic stem cells and adult stem cells. 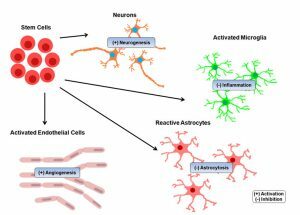 There are other types such as induced pluripotent stem cells which are produced in laboratories by reprogramming adult cells for purposes of expressing embryonic stem cell characteristics. As the name suggests, embryonic stem cells are obtained from embryos. This type of stem cells require specific signals for them to differentiate into specific cell types. They are secluded from the inner cell mass (of blastocysts of pre-implantation stage embryos). The cells have a limitless expansion and pluripotency potential. They play a significant role in regenerative medicine as well as tissue replacement after disease or injury. Adult stem cells are used/have been used successfully for years to treat leukemia among many related bone and blood cancers via bone marrow transplants. This type of stem cells are simply somatic cells which have undergone genetic reprogramming to become or act like embryonic stem cells. The cells are reprogrammed to express genes which are important for maintaining critical embryonic stem cell properties. Stem cell therapy can be defined as the use of stem cells to prevent or treat a disease or medical condition. The treatment is usually administered via injections. A perfect example of stem cell therapy is bone marrow transplant. Other examples include; therapies that utilize umbilical cord blood. How are stem cells extracted? Stem cells are extracted or collected for transplant depending on the source. Stem cells can be collected from the bone marrow, umbilical cord blood, circulating blood, etc. The bone marrow is a popular source of stem cells since this is where they are most concentrated in the body. When extracting stem cells (from the bone marrow), a special needle reaches into the bone marrow in the pelvic bone. The pelvic bone has the highest amount of active bone marrow in the body. Stem cell therapy is considered safe and effective. However, it’s worth noting that research is still ongoing. For this reason, treatment should be concentrated on conditions that have already been found to be curable safely with little to no risk. As a precaution, you must seek treatment from qualified medical practitioners only i.e. a physician who is qualified to offer stem cell treatments such as StemCells21´s medical team. This precaution is important given the existence of many unscrupulous medical practitioners who aren’t qualified to offer stem cell therapies.